Exosomes, microvesicles of endocytic origin released by normal and tumor cells, play an important role in cell-to-cell communication. Angiogenesis has been shown to regulate progression of chronic myeloid leukemia (CML). The mechanism through which this happens has not been elucidated. We isolated and characterized exosomes from K562 CML cells and evaluated their effects on human umbilical endothelial cells (HUVECs). Fluorescent-labeled exosomes were internalized by HUVECs during tubular differentiation on Matrigel. Exosome localization was perinuclear early in differentiation, moving peripherally in cells undergoing elongation and connection. Exosomes move within and between nanotubular structures connecting the remodeling endothelial cells. They stimulated angiotube formation over a serum/growth factor-limited medium control, doubling total cumulative tube length (P = 0.003). Treatment of K562 cells with two clinically active tyrosine kinase inhibitors, imatinib and dasatinib, reduced their total exosome release (P < 0.009); equivalent concentrations of drug-treated exosomes induced a similar extent of tubular differentiation. However, dasatinib treatment of HUVECs markedly inhibited HUVEC response to drug control CML exosomes (P < 0.002). 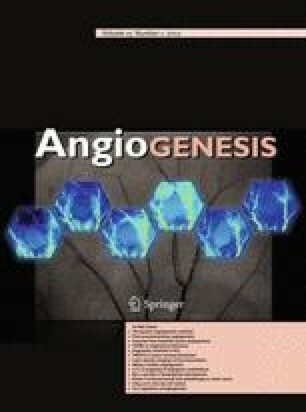 In an in vivo mouse Matrigel plug model angiogenesis was induced by K562 exosomes and abrogated by oral dasatinib treatment (P < 0.01). K562 exosomes induced dasatinib-sensitive Src phosphorylation and activation of downstream Src pathway proteins in HUVECs. Imatinib was minimally active against exosome stimulation of HUVEC cell differentiation and signaling. Thus, CML cell-derived exosomes induce angiogenic activity in HUVEC cells. The inhibitory effect of dasatinib on exosome production and vascular differentiation and signaling reveals a key role for Src in both the leukemia and its microenvironment. The online version of this article (doi: 10.1007/s10456-011-9241-1) contains supplementary material, which is available to authorized users. This work was supported by the Intramural Program of the Center for Cancer Research, NCI; Dr. Mineo was supported by a fellowship from Italian Association for Cancer Research (AIRC). The authors thank Drs. Virador and Muller for assistance with electron microscopy, and Mr. Lim and Ms. Mannan for confocal microscopy technical assistance.